In These Times has published the first investigative report of the nationwide fast-food worker organizing campaign known as Fight for 15. 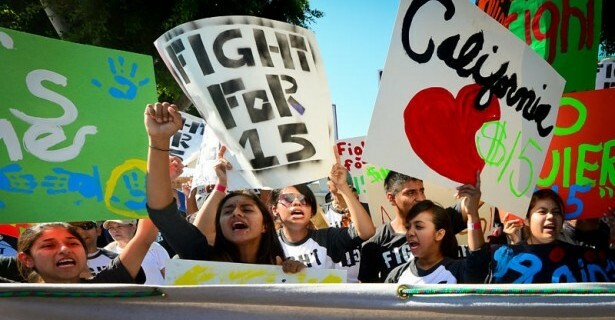 Since late 2012 fast-food workers have staged day-long strikes in cities across the country four times, with a fifth walkout planned for December 2013. Reporter Arun Gupta examines the roots of the campaign, uncovers the central role played by the Service Employees International Union, and reveals the union’s detailed plan for trying to pressure the fast-food giants to raise wages and allow workers to form unions.